If you are looking for a business for sale in Iowa, Murphy business has you covered. We have a local presence in Northwest Iowa (IA) with strong connections in Northwest Iowa, Lakes Area, Okoboji, Spirit Lake, Spencer, Storm Lake, Carroll, Estherville, Emmetsburg, Iowa Lakes Corridor Emmetsburg, Dickinson County, Clay County, Carroll County, and Emmet County. A strong presence in the community provides insight into the local market. Murphy Business deals with local companies daily which helps them to gain the respect and grow experience in the Northwest Iowa (IA) community. The Iowa Great Lakes Area is a very popular tourist area known throughout the upper Midwest. Boating, fishing, amusement parks, and wonderful dining draw in tourists as well as businesses. This area has very successful manufacturing plants such as Polaris (600 + employees) and Pure Fishing (500+) as well as many others. The Carroll area is a growing regional hub supported by farmers and businesses alike. The Spencer area is also a regional retail area boasting a Menards, Staples, Super Wal-Mart and many others. Beyond the local market, Murphy Business is a national firm with over one hundred and eighty offices and has affiliations with National and International Business Broker and Merger & Acquisition associations. This broad reach helps assure buyers and sellers the maximum access to their sale or search. Our professional business brokers all have past experience as business owners and managers. We apply that business sense to help match buyers who are looking for a business for sale in Iowa. Murphy Business Brokers represent nearly 300 franchises and are members of the International Franchise Professionals Group. This relationship has proven to be very valuable in getting the expertise that is needed when buying or selling a franchise. A business broker is a skilled professional in mergers and acquisitions and has established relationships with many professional organizations which are required to complete a transfer of ownership in a business. These relationships prove to be extremely beneficial to both the business buyer, and business owner. 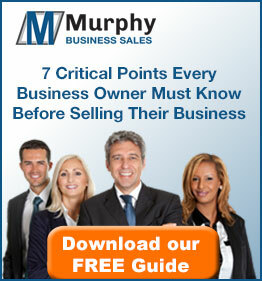 Murphy business brokers have an unsurpassed access to sellers and business buyers in North America. The proven systems and processes provide our clients with the means to achieve their goals through a more confidential and successful business transaction. We promise that you will not find a more professional, complete, and thorough experience as the one Murphy Business & Financial Corporation provides.